A natural looking type of tooth replacement. Dental implants are not only an option for single tooth replacement; they serve as the base for many tooth replacement options. When an adult tooth is lost, an alternative replacement is the healthiest choice, leaving the open space puts you at risk for problems with biting, chewing, movement of surrounding teeth as well as headaches, muscle pain and less than attractive appearance. 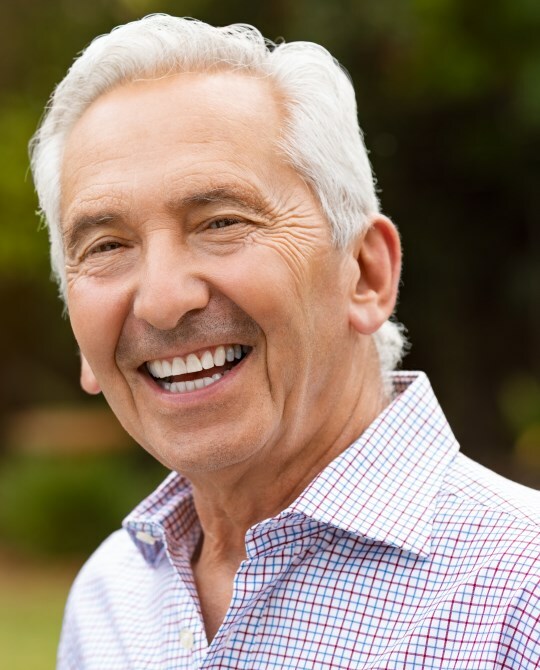 Dental implants are not only an option for single tooth replacement; they serve as the base for many tooth replacement options including bridges and dentures. As the name implies, they are surgically implanted in the jaw as a permanent tooth replacement.